This is the perfect paddle for riders looking for a durable, lightweight and accommodating blade at a competitive price. The ISLE Carbon Fiber Adjustable SUP Paddle with Nylon Blade is our hybrid SUP paddle. We used a carbon fiber shaft to make this paddle strong and lightweight. Plus, we integrated a nylon blade to protect your board from dings and scrapes caused by blade contact. The light, stiff shaft helps prevent arm fatigue but still retains a high performance feel during those powerful strokes. 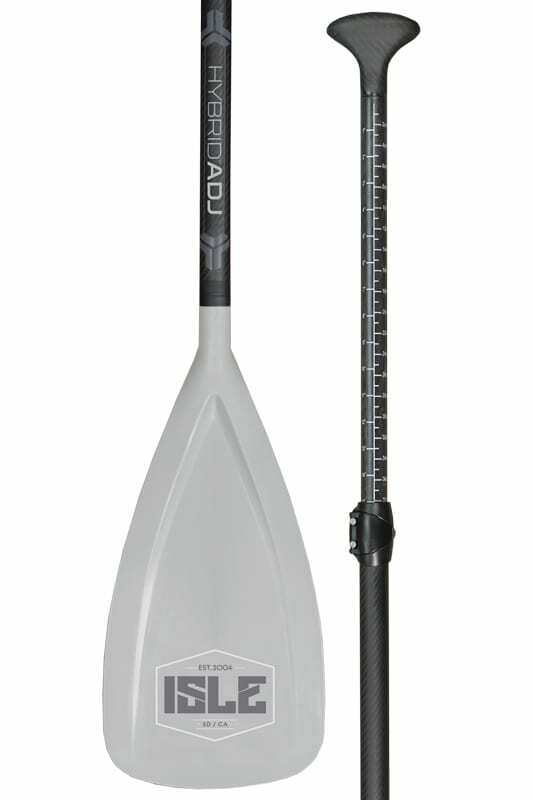 The adjustable shaft is ideal if more than one person will likely use the paddle, and adjustable carbon shaft that measures 67 inches to 84 inches. Printed lengths on the shaft support easy sizing, while the adjustable shaft securely locks and allows for zero movement out on the water.